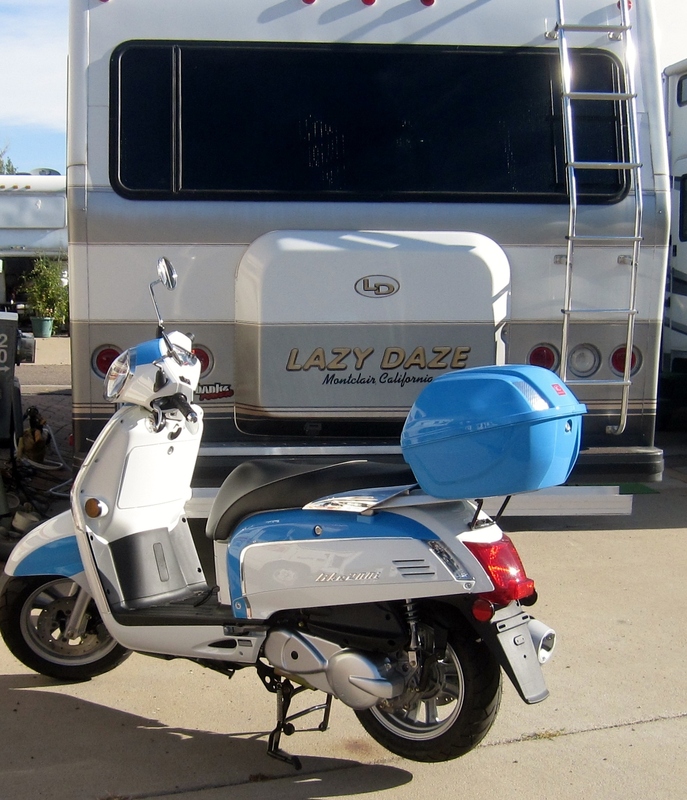 This entry was posted in Colorado, Lazy Daze, Scooter and tagged CO, Golden, Lazy Daze, Scooter by ontheroadwithriley. Bookmark the permalink. Thanks Maureen! Those Stellas are so cool, vintage looking. Sportique even had one with a side car!! Good for you Jeannie that looks like so much fun! 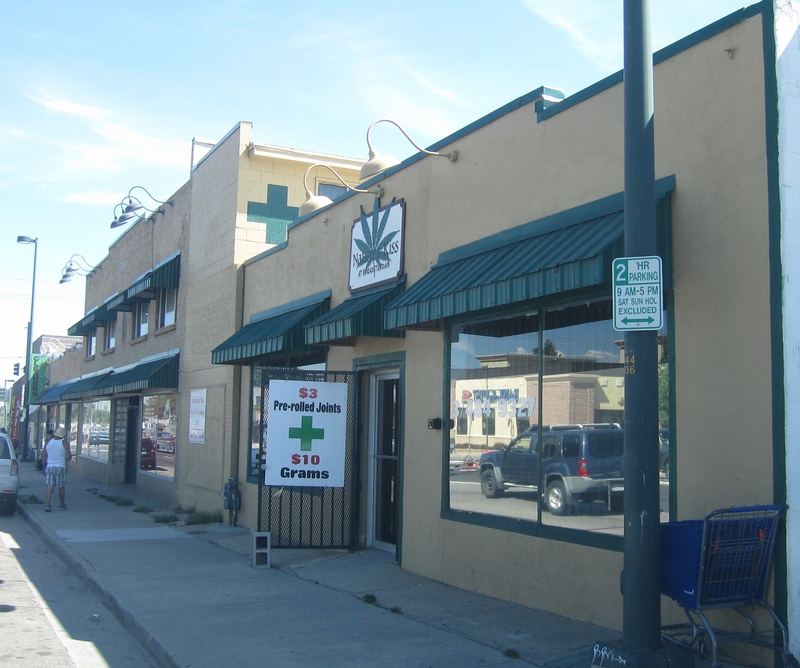 And seeing as I might hit Colorado on my way to NM in the Fall I already checked into buying some pot. 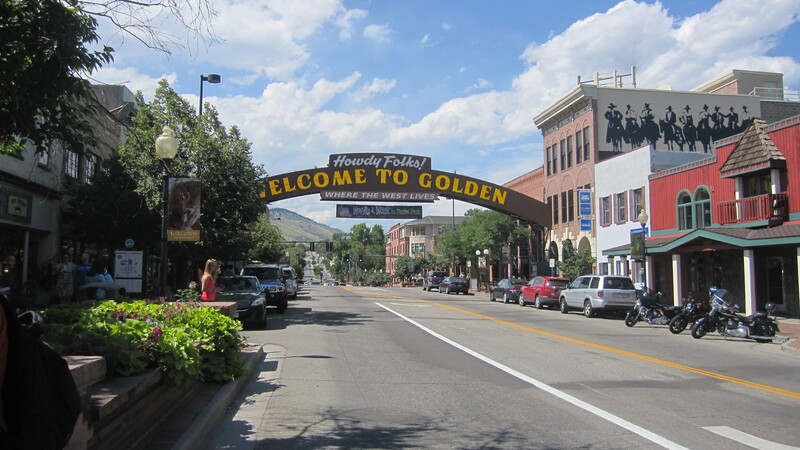 Here’s the deal….they can’t sell it until Jan 1 2014 and if you aren’t a resident of CO they can still sell it to you (or to me LOL), but only a quarter of an once. Residents get to buy a whole once! So no pot for me this year. So Jeannie, where to next? Hey Chris! We will have to keep in contact in the next month or so. I will be in NM for the fall too. Abique mid-Sept. Then to Albuquerque for Balloon Fiesta, like you guys did last year. Then bumping around NM until mid-November when I head back to TX. Will be great to see you again! Hi Donna, There are a lot of ladies that solo with towing a car. I just didn’t want the hassle. The scooter isn’t super-easy yet. Hopefully it meets my needs. 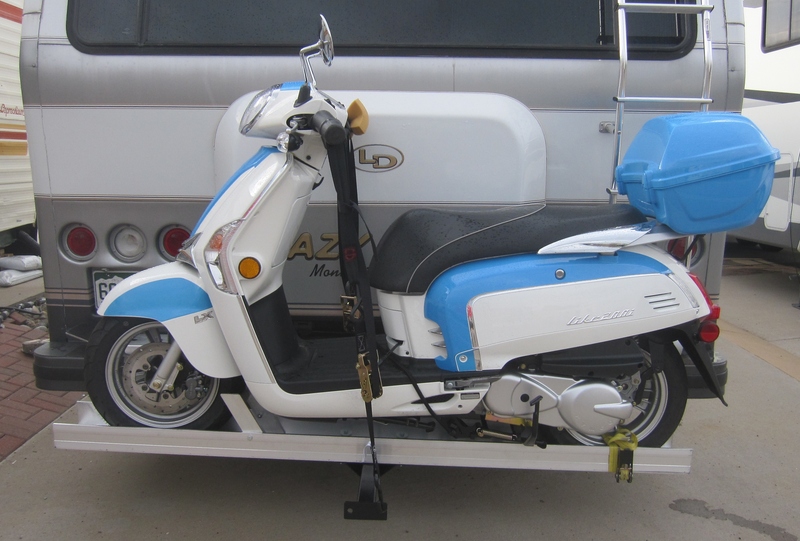 My neighbor here in Golden, Carol, has a class A toy hauler with a 3-wheeled Harley that she carries in the back. I’m sure you will find a good solution that works for you. Haven’t gotten a rear view camera yet. It will probably go on the license plate, and shouldn’t be blocked by the scooter. Hi Dawn, yep, working on the loading/unloading. I may not have much need to do it myself if Chris is with me, or other friends and neighbors. But, I would like to eventually be able to handle it myself. Today I got some angle iron from Home Depot to bolt onto the end of the carrier channel, to keep it from going off the end as I’m loading. Maybe with little tools or tricks I will be able to get it by myself. 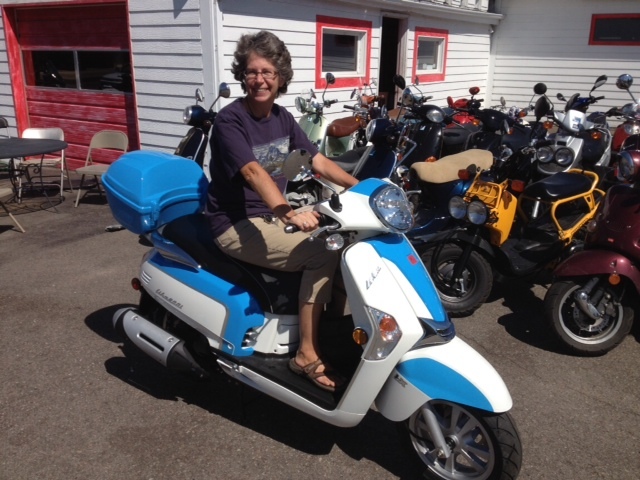 Nice looking scooter – I’ll bet it will be fun as well as helpful getting around. Do you worry about it being stolen? Is it locked onto your carrier? Hi Barbara! Yes, I have a Master lock that’s about 4′ of plastic wrapped chain that I can use to secure it at stores, or to the carrier when it’s on there or parked behind the rig.